Three different rivers in one day! Today I met up with some boaters from the SE to try a new river. 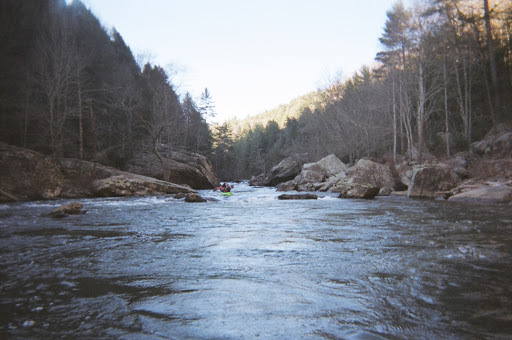 Clear Creek looked like something that I would like, and would be a perfect “getting back into paddling river”. Stephen came along, just to prove that he wasn’t too cool for class III water! Tera was willing to show us down as it is one of her home rivers, and she brought the famous ‘Louie’ with her. It was a very pretty run. The two bigger drops were right at the beginning, and I made it through them fine. I felt a little tippy in my boat, but soon regained my strength/balance. Clear Creek soon joined up with the Obed River, and it was kind of like a left turn from a back street onto a highway. The Obed was about three times as big (width and flow), but no more intimidating… more of what I am used to. 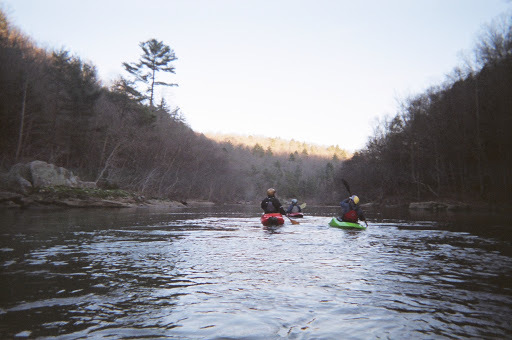 Later on, the Obed bent right, so the last stretch of river was paddling directly into the setting sun. 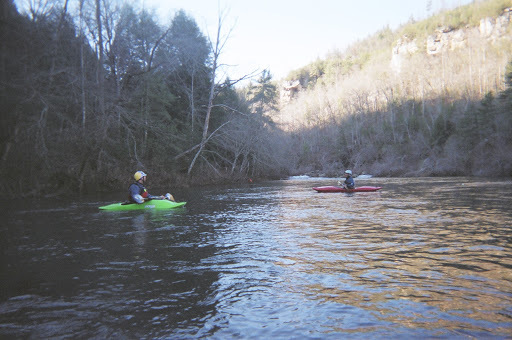 The weird part was that although it was clearly still the same river as the Obed, the river took on a new name at that corner. We were now on the Emory River. 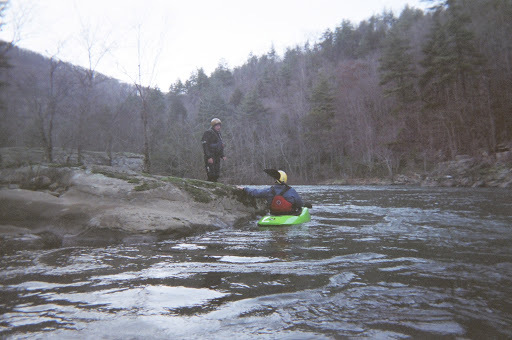 The Emory was this little stream that flowed into the Obed, yet the river took on the smaller river’s name. I was soooo confused. The great part of the day was even though we met and put on around 2pm, we made it off the river long before it got dark! What a great day, great weather, with great company! ← Welcome BACK to Rock Island!